Why choose in-home pet care with HOUSEGUARD rather than Kennels? Arrangements for your pet(s) — uh oh! Making preparations for a pet’s care during your absence can be stressful and overwhelming, not only for you, but for your pet(s) as well. The debate ensues – which is better – an in-home pet sitter or a kennel? The benefits to in-home pet care for you and your pet(s) are tremendous. Much of the stress they feel while you are away is eliminated by remaining in their familiar environment. Plus we bring the added benefit of being great insurance against crime and the unexpected happening in your home. Having HOUSEGUARD come to care for your pet is a great way for you to have the security of knowing your pet remains the most comfortable in their own surroundings. It’s bad enough, that from their point of view, their family has run off and disappeared without warning. But at least they hasn’t lost their territory. Just having that security can make a big difference in whether your pet stresses during your absence or whether they take it in stride. Being placed in a boarding kennel, no matter how well run, is terrifying. 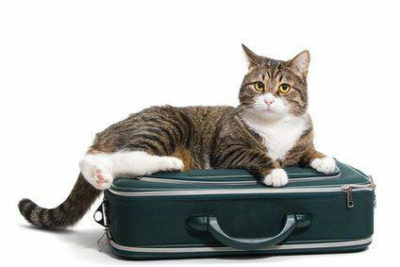 Pets are in the comfort of their own home so they are more relaxed. Your sitter learns your pets’ unique needs and temperament. Your pet’s routine will remain the same bringing less stress. Your home is also cared for and will meet your specified insurance requirements. Last but not least, your pets will be much happier and healthier!